Rubber fenders can absorb energy and reduce vibration, thus reducing the collision damage of ships or docks when the ship is docked or moored. When used, the compression deformation is large, the energy absorption is large, the reaction force is small, and it is easy to install. Natural rubber, styrene-butadiene Glue, butadiene rubber and isoprene rubber are ideal raw materials. When styrene-butadiene rubber is used as the main raw material, a certain proportion of activated rubber powder can be used to reduce the cost of raw materials and further improve the wear resistance, resilience and tear. Strength, etc. Formulation 1: 140 parts of styrene-butadiene rubber, 50 parts of activated rubber powder, 75 parts of high abrasion resistant carbon black, 1 part of paraffin, 10 parts of aromatic oil, 2.5 parts of antioxidant, 4.5 parts of zinc oxide, 3 parts of stearic acid, sulfur 2.28 Parts, 1.52 parts of accelerator, total: 289.8 parts. Formula 2: 140 parts of styrene-butadiene rubber, 70 parts of activated rubber powder, 75 parts of high wear-resistant carbon black, 1 part of paraffin, 12 parts of aromatic oil, 2.5 parts of anti-aging agent, 5 parts of zinc oxide, 3 parts of stearic acid, sulfur 2.54 Parts, 1.71 parts of accelerator, total: 312.75 parts. In the rubber fender, a large amount of activated rubber powder can reduce the rubber content and reduce the proportion of styrene-butadiene rubber, so as to reduce the cost of raw materials. 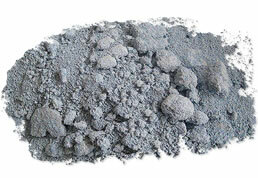 Generally, the activated rubber powder with a fineness of about 40 mesh can meet the demand. It also saves costs. 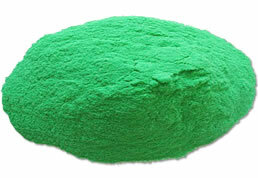 The addition of activated rubber powder will reduce the proportion of sulfur in the rubber compound, and consume a part of sulfur in the reaction process, thereby reducing the crosslink density of the rubber compound and affecting the mechanical properties of the rubber fender. Therefore, it is necessary to increase the sulfur dosage appropriately. The amount of sulfur in the formula is higher than the amount of sulfur added in the formula 1, increasing the crosslinking density of the rubber compound, improving the vulcanization effect, and improving the mechanical properties of the rubber fender; the accelerator CBS in the accelerator product is a post-effect accelerator, and the CBS is used as The main accelerator and the small amount of accelerator D can better improve the internal rubber density of the rubber compound and improve the physical and mechanical properties of the rubber fender containing rubber powder. Aromatic oil has good compatibility with rubber, high temperature resistance and low volatilization. It can improve the fluidity and plasticity of rubber compound, improve the processing performance of rubber processing, and increase the weathering, oxidation and friction properties of rubber products. 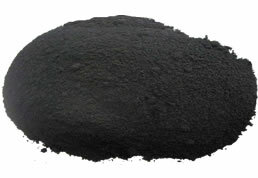 Promote uniform dispersion of powdered compounding agent, increase the fluidity, viscosity and plasticity of rubber compound in the production of rubber fenders containing rubber powder, improve processing performance and prolong the service life of rubber products; although between activated rubber powder and styrene-butadiene rubber The bonding ability is better than that of vulcanized rubber powder, and it is easier to penetrate into the rubber compound, but it is also necessary to increase the amount of softening operation oil. 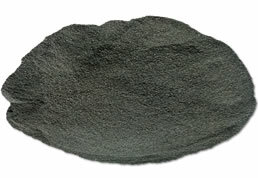 Adding activated rubber powder to the rubber fender, in order to extend the service life of the rubber fender, it is also necessary to add a suitable variety of anti-aging agents, such as anti-aging agent 4010na and anti-aging agent 124, wherein anti-aging agent 4010na is a general-purpose anti-aging agent, which can be obvious Improve the ozone resistance, flex crack resistance and oxidation resistance of rubber fenders. Antioxidant performance of anti-aging agent 124 is very good. 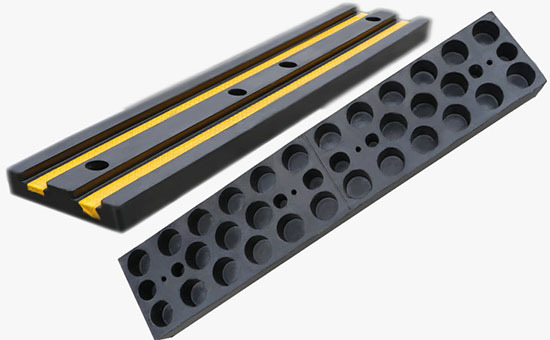 It can delay the aging time of rubber fender with 4010na.